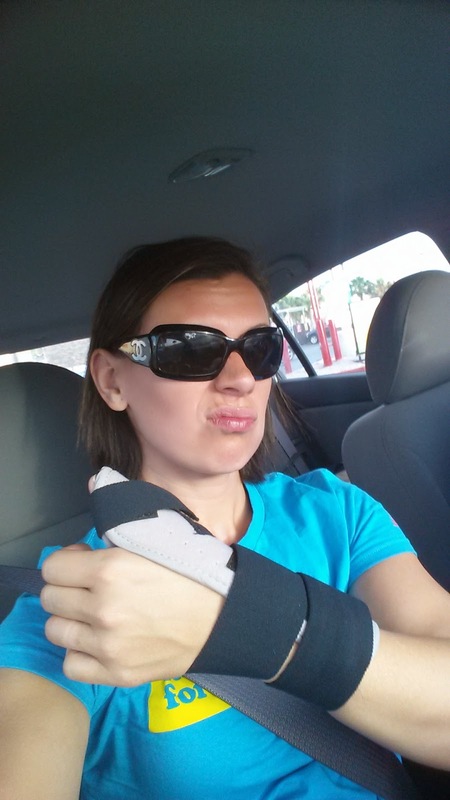 Disney Runs in the Family: Road to Recovery: Week...??? I thought this was the worst-wrong! So, for any new readers, let me catch you up: I fell while running. Hard. Sprained my wrist, hit both knees, tore cartilage in my right knee along with an MCL sprain. I'm actually exactly 5 weeks and one day out from the fall. On some level I'm still in shock that I hurt myself so badly from a little fall. I'm still not back to real workouts. Some days I feel like it's getting better. Other days I'm still in significant pain. Ugh! This past week I had a visit with a PT. It was actually the best medical visit I've had yet. He did a thorough assessment, including comparing my left side to my right, injured side, watching me walk all different ways, and listening to my symptoms. He really put the pieces together (and was the first one to do so! I had previously seen 3 doctors and did not come up with anything that made sense). He thinks most of my pain is from a strain in my hamstring tendon, which likely pulled from my overstrides while trying to stop myself from falling. It was a HUGE a-ha moment! Yes, that's exactly what I was feeling. Finally, someone listened to me! 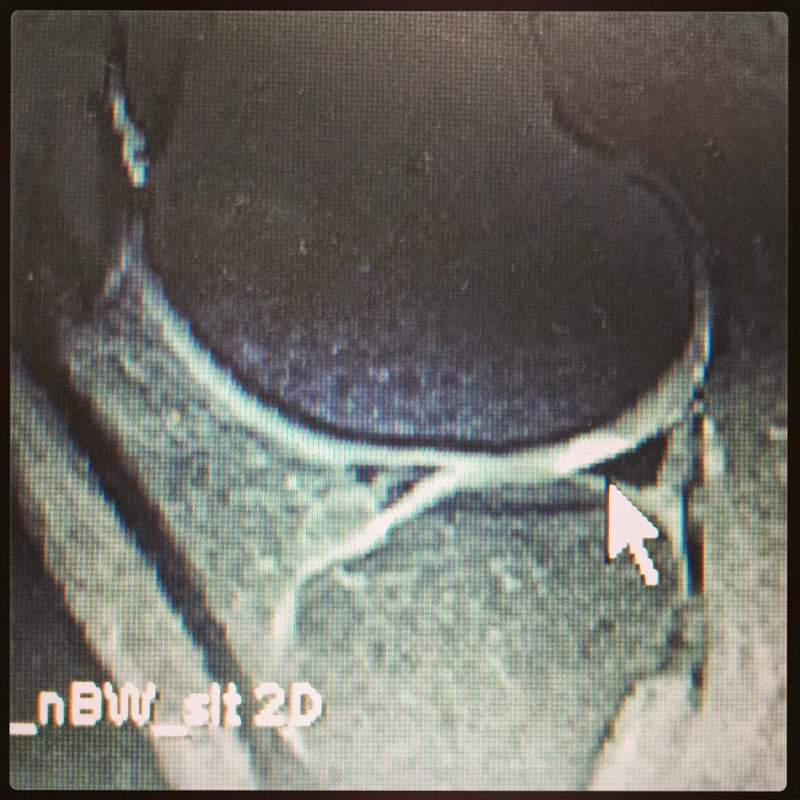 I've been really frustrated because the tear in my cartilage was not where I was feeling the most pain. It wasn't adding up. Now, it totally does. This also was awesome because I got real guidance on what to do/what not to do within my "workouts". No, I'm not working out really, but just biking and leg lifting with zero resistance. I cannot tell you how invaluable this visit was!!! I finally feel like I am really on the right track. So, that being said, week 5 and nothing too much more has changed. Well... other than the number on the scale. Booooo. I'm finally encouraged that there is an end in sight and maybe even an end that doesn't include surgery (oh yeah... that was another awesome side effect of PT...he agrees with me on no surgery). I'm still hoping to be able to run in Disneyland Labor Day weekend for the Dumbo Double Dare. Obviously my goal of a 10k PR during that race is out the window, but just finishing both races will be huge accomplishment! There you have it! One more week of big limitations, then I should be able to start increasing my workouts and training. My takeaway for everyone this week is to be sure you are consulting with medical professionals you trust! Keep asking questions until it makes sense. Listen to your body and your instincts. When it all clicks, you'll know. I am so fortunate that I work in the profession and was able to go to one of the best physical therapists in town. I am able to pick the brains of PTs all the time and get some awesome advice. So...anyone ever have an injury like this? It's kind of a weird one! Wow! I've fallen before (I actually split my chin and nearly knocked myself out one time), but I can't imagine hurting myself so badly with a fall. I'm glad you are figuring out where the issues are and I hope you heal quickly. Thanks for joining our link up and I hope you'll join us again in the future! Crazy, right?!?!?! I still can't believe it! Thanks for linking up with us today! I had a rough fall once on a trail run but just wrenched my shoulder which required PT but didn't impact my running. My strangest injury was this pain on the front outside part of my pelvic bone. No one could figure it out and the PT didn't really feel like it was helping at all. The only thing that helped was pushing on the back of my hip while running and eventually it went away. I think my pelvis was unstable from my pregnancy the year before and just had to take a couple of years to fully "lock" back in place. Hope you get some good results soon, those mystery injuries are the worst! If I have to crawl, I'll be crawling across the finish line at Disneyland! HAHAHA!